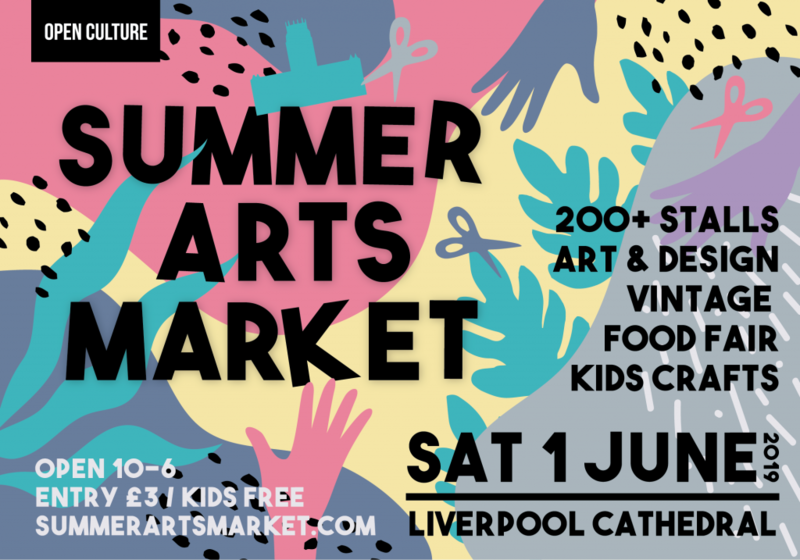 The 2019 Summer Arts Market will take place on Saturday 1 June at Liverpool Cathedral. As the North West’s biggest and best arts and crafts fairs, the Summer Arts Market and festive sibling the Winter Arts Market are an amazing opportunity for independent artists from right across the region to sell their work directly to the public, and for the public to support local artists, all in the stunning settings of Liverpool Cathedral. To keep up to date, join the Open Culture artist mailing list here, making sure to select ‘artist & maker opportunities’.